BT has confirmed the start of its TV service upgrade with the first subscribers gaining access to the new interface from Tuesday morning. Beginning with the Z4 box* - BT's mini TV box, a free software upgrade is being rolled out, which will allow subscribers to benefit from what the company describes as "clearer navigation, clever short-cuts, improved search and more personalisation", and includes access to the new BT Player. The free and automatic update will be rolled out to other BT TV YouView boxes in the coming months. The company says the software update will be quick to load and may possibly occur overnight when the box is in standby. Recordings will move to the new "MyBT" section of the menu and videos bought and rented from BT Player will move to the "My Zone" area of the Player within 3 days of the update. BT says that subscribers will be notified of the changes when the upgrade is complete. 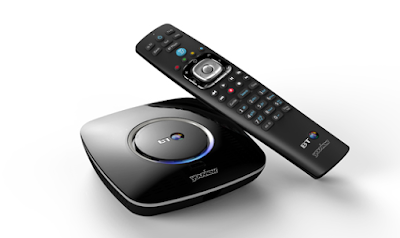 *also known as T2200: BT and YouView use different descriptions in their messages to consumers.